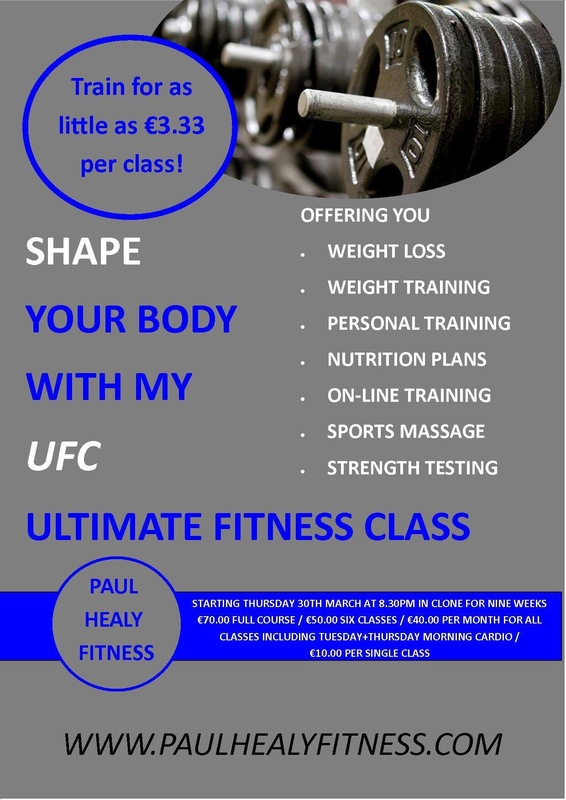 The UFC (ultimate fitness class) in my home Gym on Tuesday and Thursday evenings at 8.30pm are a perfect mix of strength and conditioning to help you reach your goals . These classes are for male and female and will have a mixture of cardio, resistance and Bodyweight training to give a full body workout without getting bored from week-to-week. You can secure your place at this class by booking here. This payment entitles you (or any person named by you) to attend ten (10) Ultimate Fitness Classes (UFC). These classes are held on Thursday evenings at 8.30pm in my home studio in Clone, Co.Wicklow and cost €10.00 pay-as-you-go so you are saving yourself €20.00 by booking here. The ten classes must be used up within twelve (12) weeks of the firse class attended. Please be sure to bring water and a towel when attending. Starting Thursday 13th December 2018 @ 9.30am. I am really excited about this class! I have wanted to practice and reap the benefits of Yoga for a long time but hadn’t the space in my schedule. Well that has changed and now we are offering morning Yoga classes with Aoife Kenny. We are currently trying to fit in addition morning classes and possibly one evening class too. If you are interested in attending this class please let me know ASAP via the Contact me page.